A White Supremacist attacked two Mosques in the city of Christchurch, New Zealand. The result was 49 Muslim deaths. 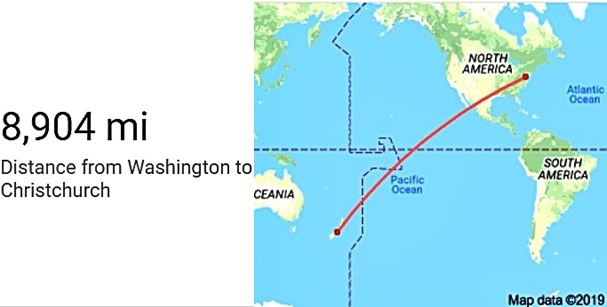 The American and global Left took the massacre as an instant of glee to take the opportunity to blame President Donald Trump who resides 8,904 miles away. I can’t feel sorry for any the 49 Muslims sent home to Allah, in Christchurch New Zealand today, other than the innocent children that suffered the attacks on two mosques. But today we see the Leftist Muslim appeasing news agencies like BBC going crazy and saying “See, see … terrorism knows no religion”. … as though there were hundreds of such attacks by Christians against Muslims today. Everyone knows this is the exception rather than the rule, however, no one should be surprised. 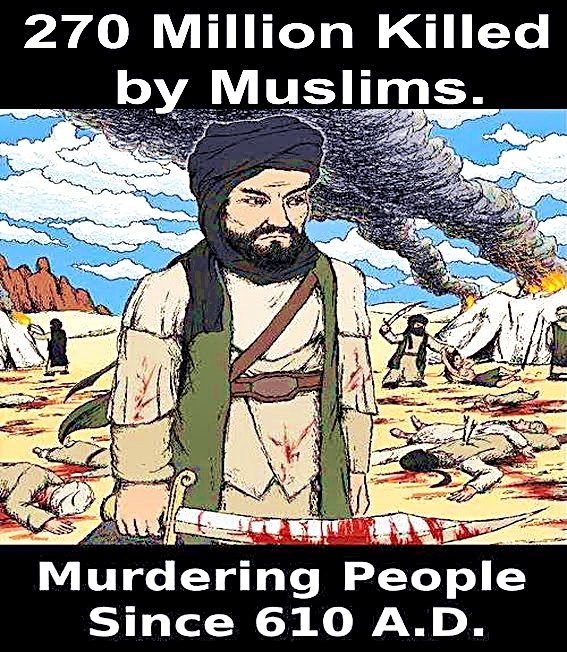 While there aren’t groups of Christians and Jews across the globe plotting to murder Muslims, across history Islam has always been the aggressor and the one moving to conquer its neighbors, plotting and murdering all who weren’t Muslim, all who refused to convert, as commanded by their so-called “Prophet” Mohammed and the Koran. And it’s hard to feel sorry for any Muslims killed in any attack today, after the thousands of such attacks by Muslims against Christians, Jews, Yazidis and many other non-Muslim groups over the past four decades. So … 49 Muslims dead. That’s 49 less potential global terrorists who might wage Holy War against the West and America. Forty-nine who were a part of the very same Islamic ideology responsible for 9/11, for Benghazi, for the Boston Bombing, San Bernardino, Florida and Chattanooga terror attacks and many more throughout the Middle East and Europe … the same ideology that beheaded thousands of Mosul’s Christian population and put their heads on spiked poles outside the city … the same ideology that placed Christians in cages and drowned them or burned them alive. What does anyone, any Muslim, expect? If a group, a sect, an organization or an ideology one is a member continually commits mayhem, murder and unspeakable horrific atrocities against others over a sustained and lengthy period of time, it is only natural that those under attack will eventually retaliate against the bad actors of that ideology, which in this case is Islam. Islam has done what it wants, murdering all who stood in its way for centuries. And now to hear imams and sheikhs playing the innocent victims of terrorism and Islamophobia is simply laughable. If God were to strike every God Damned Muslim off the face of the Earth today, in one fell swoop, I would not shed a tear. I have no tears in me for Muslim deaths. No … I don’t ask for anyone’s understanding, and I won’t make any apologies, but I just don’t feel anything over this attack … not happy, not sad … I just feel like Islam’s chickens are coming home to roost, and Muslims are reaping the bitter harvest they have sown. Only One billion seven-hundred and ninety-nine thousand more to go.